Just like any other well-known Chinese Restaurants, Din Tai Fung is always packed with people. If you go there only with your partner, don’t be intimidated by the huge number of people queuing outside the restaurants. The turnover for two people is quite high, so you will only need to wait for half an hour. But if you go with a large group, I’d suggest you to book in advance. Din Tai Fung is world famous for its Xiaolongbao (http://en.wikipedia.org/wiki/Xiaolongbao). It is a very soft dumpling with mince pork (or some other combinations) and gelatine soup. We normally add vinegar and sliced ginger, pop the dumpling so that the soup would come out and enjoy it all in a spoonful. 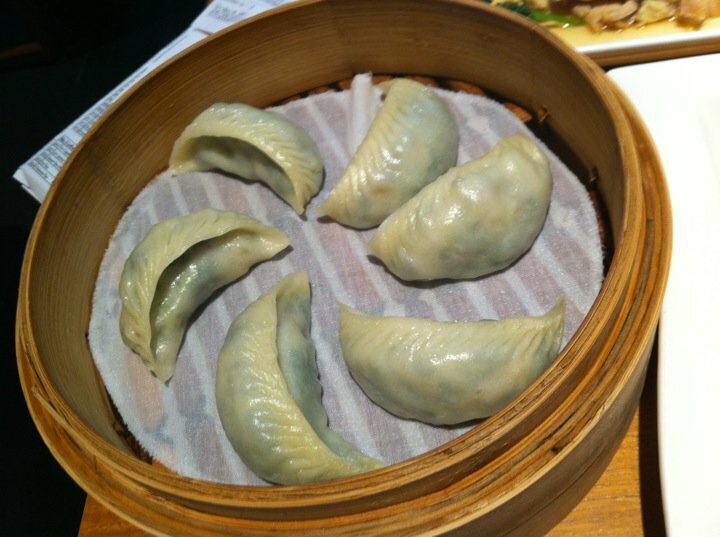 This time, we ordered its variant, Steamed Green Vegetable Dumpling. It was served in a bamboo basket and a layer of white cloth. The dumpling was quite different than any other dumplings we found on a yumcha restaurant. You can actually see through it and looked soft and yet it is strong enough to be handled by chopsticks. Similar to other fine dining restaurants, the portion of their food is pretty small, thus we ordered quite a few dishes. First one to come out was the appetiser, Drunken Chicken. 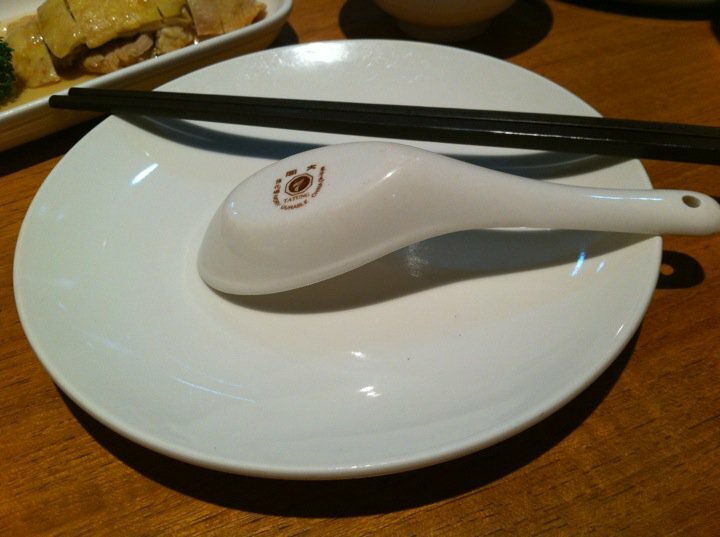 It was a chilled Boneless chicken marinade in Chinese wine. It was soft and had a hint of sweetness in the chicken. Very good to build your appetite, but unfortunately, this was the best dish of the night for me. 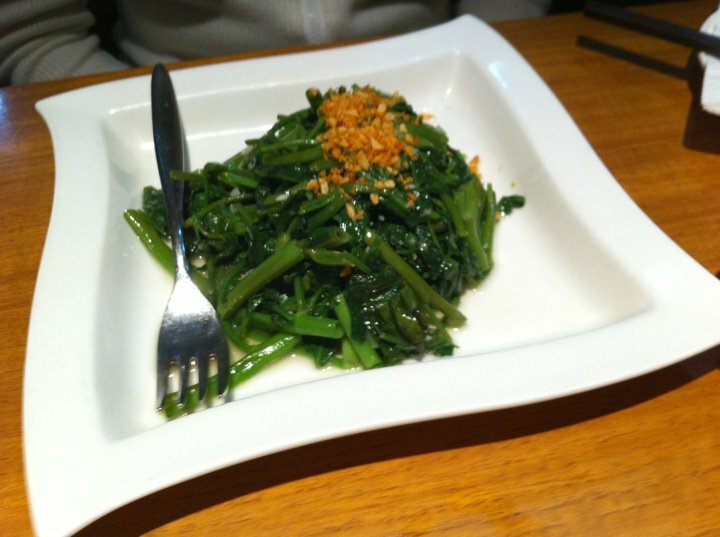 In addition to the dumplings, we also ordered Sautéed Water Spinach with Garlic and Deep Fried Chicken Fried Rice. Although a quite staple food in Indonesia, water spinach is difficult to obtain in Sydney. It is quite nice and healthy. 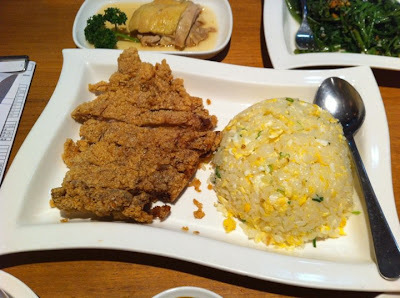 There was nothing special about the fried rice as well, but the chicken was quite crispy and tasty. 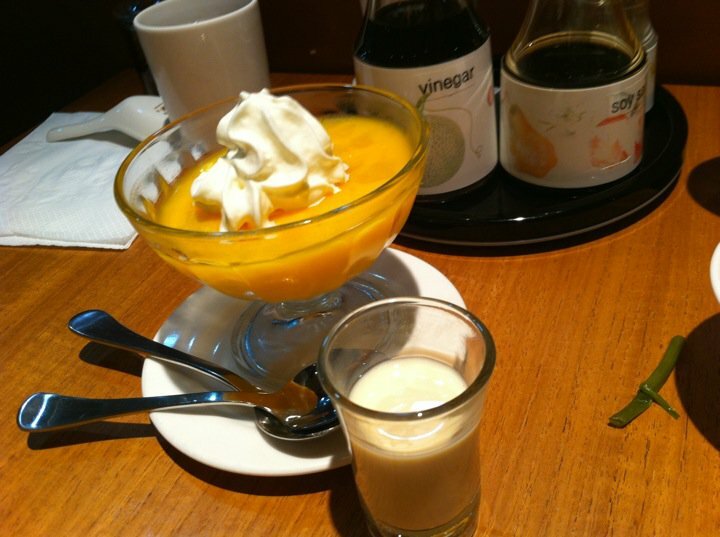 To finish the night, we ordered Mango Pudding and Golden Taro with Taro Ice Cream. We ordered the pudding just to be on the safe side (and I think there’s a universal standard for how you make mango pudding). It’s a pretty generous serving of mango pudding with an optional side of condensed milk. Pretty nice, yet pretty standard! The other dessert, however, was really nice. 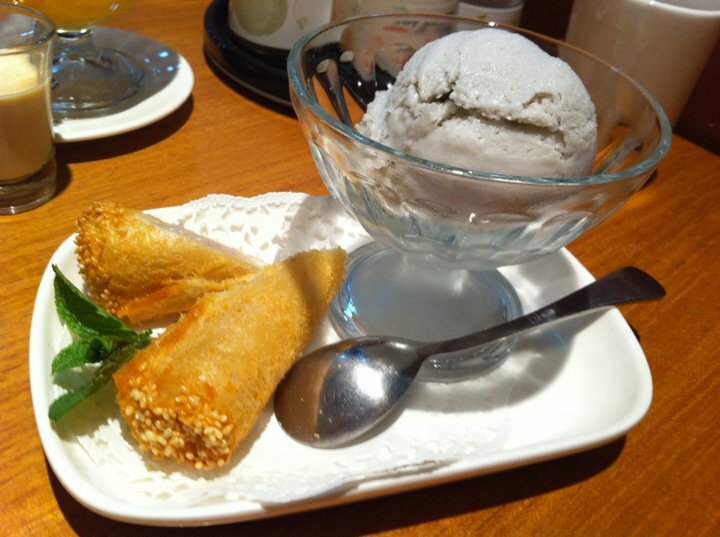 It was a deep-fried, golden brown taro on a side with a scoop of ice cream. It was very crunchy and savoury. As one of Sydney’s prominent building, World Square housed several big name restaurants, shops, and nightclubs. It is also an ideal meeting place because of the ease of travel to it.